The American Diabetes Association (ADA) provides information, resources, and research for the approximately 25.8 million children and adults in the United States (nearly 8.3% of the American population) with diabetes. Furthermore, since the ADA estimates that nearly 7.0 million people who have the disease are not yet diagnosed, the ADA is a critical link for reaching out and serving all those possibly inflicted with the disease. Established in 1940, the American Diabetes Association is a non-profit health organization serving each state throughout the country. Its board of directors includes specialists in the field of diabetes including doctors and dietitians. The association's mission is to prevent and cure diabetes and improve the lives of all people affected by diabetes. The ADA provides services in three major areas. The ADA Research Foundation was founded in 1994 to expedite fundraising for research to prevent, cure or treat diabetes. The foundation's mission is to ensure there are enough funds to explore all scientific means of diabetes research. It supports more than 164 institutions across the United States. Another way that this particular foundation differs from similar organizations is that 100% of donations received go toward research. If there are costs not affiliated with research they are paid from the American Diabetes Association's general fund, not from the Foundation's money. If a gift of $50,000 or more is given to the Foundation, the donor is able to direct that gift to a specific project of choice. The donor will also become a member of the Pinnacle Society, which is a group of donors who make major gifts. The ADA Research Foundation funds several research endeavors deliberately aimed toward the treatment, cure, and prevention of the disease. Projects occur in several states across the country, many in conjunction with the National Institute of Health. 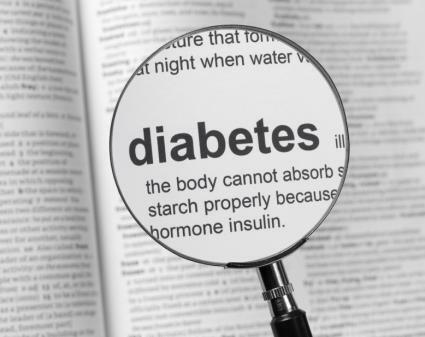 These studies look at specific aspects that may play a role in diabetes including genetics, cell biology, and immunology. Along with these areas, research is continually being conducted on the educational and behavioral impact of living with the disease. There is an application process for receiving grant money from the association for research studies. Guidelines for conducting a study, as well as all the necessary forms, can be found at the American Diabetes Association Research Foundation website. Whether you need statistics, management tips, referral sources, or meal plans related to diabetes, this organization has it all. Find information and educational literature at the Diabetes Learning Center. The center offers help with everything from eating choices and monitoring blood sugar levels to assessing your care team members and emotional affects you may encounter. In addition, there is information about the risk factors associated with acquiring diabetes, the prevention of the disease, and the necessary steps to take when first diagnosed. All of this information is available in English or Spanish. Furthermore, participants receive discounts on publications such as cookbooks, educational guides, meal planning tools, videos, diabetes-friendly diet programs, and the annual supply guide. For professionals, the fees vary for membership. Dues range from $75 to $450 for physicians and other providers. There is an application process for this group in order to join. The ADA's website offers an array of free information for people affected by diabetes. With documentation outlining the basics of diabetes, information about living with diabetes, suggestions for dietary and fitness changes, and the latest news, the ADA website provides a knowledge base that can help people prevent or manage diabetes.